When promoting content, a good influencer outreach campaign can be the difference between hundreds of views and thousands. It can mean real press coverage, new audiences, and even revenue growth. The most successful of these campaigns begins weeks (or even months) in advance of the content’s launch, giving marketers plenty of time to nurture relationships with influencers and gain visibility within communities — essential components of any successful thought leadership strategy. In an ideal world, we would have hours to spend each day getting to know every influential website and person in our niche. In the real world, our resources are limited. We need to organize and prioritize our time to maximize our content marketing ROI. The following framework will help you structure your influencer outreach campaigns so you spend the majority of your time on the most important people and tasks. The framework will work whether you’re an individual or a team, part of an agency or working in-house. A database tool to keep track of everything (like Cision or BuzzStream) will help a lot, too. Before beginning any outreach campaign, your team should be aligned on audience, messaging, and goals. Putting together a one-page brief (even if you’re working solo) can be very helpful. 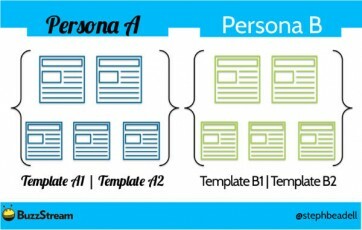 Create buyer personas for your primary and secondary audiences, paying careful attention to the nuances of each one. Strive for many narrowly defined audiences rather than bucketing everyone into a few broad categories. It may seem counter-intuitive, but narrower audience definitions allow for more specific messaging and bring higher success rates to your thought leadership strategy. Set campaign goals for each audience. You can choose something simple, like new visitors to your site. You could aim for a certain number of social shares or press mentions. As you get more experience promoting content within your niche, you may get more specific, like shooting for a certain type of coverage from a blog or inclusion in a popular email newsletter. No matter what type of goal you choose, all of this information should go into the brief for your team. At this point, you can also begin calculating the time you’ll need to invest in your outreach campaign. If you’ve done outreach campaigns before, you should have a basic idea of your response rate or placement rate. Take the number of mentions or shares you’d like for this campaign and divide that by your typical response rate. You’ll end up with a rough estimate of how big your influencer lists should be. For example, if you want 10 press mentions and your email response rate is 30 percent, then you’ll need a list of 33 influencers. As you build your influencer lists, you should categorize each person or website by audience persona/type and by their influence level (high, medium, or low). The most important influencers for your most important audiences can be considered Tier 1 Influencers. Generally, this should be 10 to 15 percent of your list. Your goal is to develop strong, one-to-one relationships with them, building good will well before you ask them for any favors (like sharing your content). You can do this by sending custom emails, consistently sharing their work from your branded and personal social accounts, and trying to meet them in person at conferences. The remaining influencers on your list — the people and websites that are still important but are not a top priority — can be considered Tier 2 Influencers. You should strive for efficiency and scale with them, building one-to-many relationships. 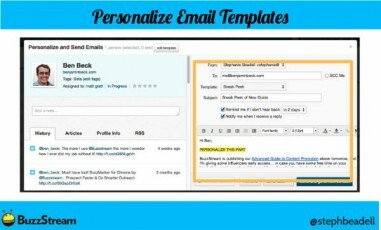 Email templates and creating special content like webinars and guides can help. When you’re ready to promote your content, consider giving your Tier 1 influencers advanced notice. This will give them a chance to spend time with your content before launch, so they can give meaningful commentary when it goes live. You’ll also find that when big websites or influencers write about content first, there’s often a trickle down effect, where smaller sites pick up the story without any prompt from you. This doesn’t work in reverse, so it’s important to hit your Tier 1 influencers first. You can send templated emails to your Tier 2 influencers, leaving room to customize each email a little bit before sending. (This should be easy if you’ve maintained your database of interactions and notes about influencers.) Because you’ve defined narrow audiences early on, you should be able to create a very focused benefit statement for each influencer group. These Tier 2 or mid-level influencers will constitute a good 85 to 90 percent of your list, so you’ll need to work efficiently as you contact them. 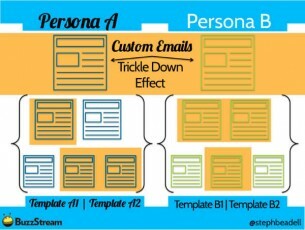 A/B testing email templates for each audience can be extremely helpful. You’ll usually find that one template type has a much better response rate than another. As soon as you learn which one is working better, you can nix the bad template and use the good one moving forward. 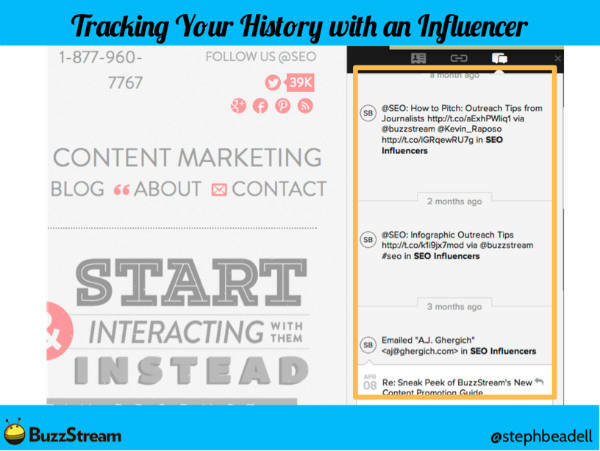 As influencers begin to share or promote your content, keep track of where they’re sharing it and what they’re saying. Send follow-up notes to say thank you. After your campaign, you may want to reevaluate your influencer prioritization and optimize the role it plays in your thought leadership strategy. Perhaps someone you thought was a Tier 2 influencer drove a lot of visitors to your site or earned a lot of attention. If so, you may want to promote them to Tier 1 priority. Continue to build these influencer relationships by sharing content, scheduling real-life meet-ups, commenting on the work of others, and helping out wherever you can. Take great notes, and lay the foundation for an even more successful campaign in the future. 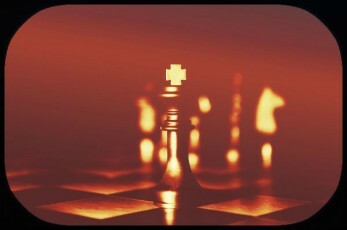 Looking for more guidance influencer marketing? Download our toolkit, The Complete Guide to Influencer Marketing: Strategies, Templates & Tools, which walks you through a simple 10-step process and provides three customizable templates. Stephanie Beadell is the Director of Content at BuzzStream, a CRM tool for content marketers that helps with managing influencer relationships and outreach. She co-authored The Advanced Guide to Content Promotion earlier this year. You can follow her on Twitter.